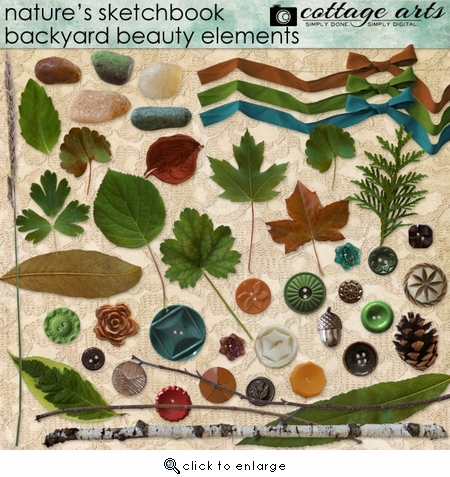 Nature's Sketchbook...from Michelle's Somerset Memories' articles on creating your own digital sketchbook/art journal. 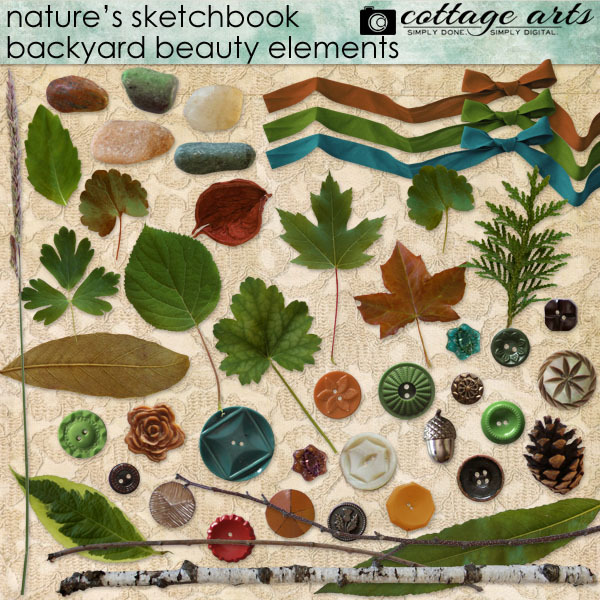 This backyard beauty element pak includes 45+ realistic leaves, ribbons, buttons, stones, and branches. Photographed by Michelle from treasures in her backyard and vintage button stash. See more of the Nature's Sketchbook line here.